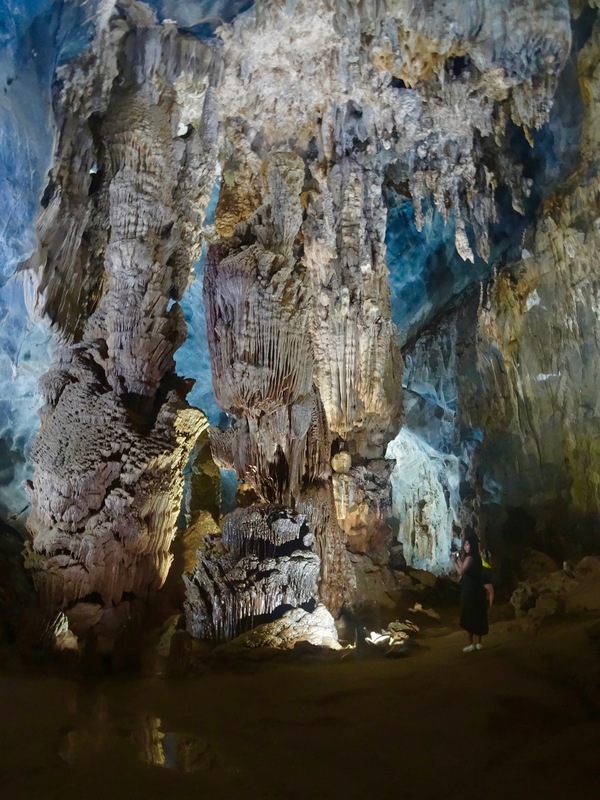 My 5: Phong Nha Cave, Vietnam. 1. Phong Nha Cave, April 2018. 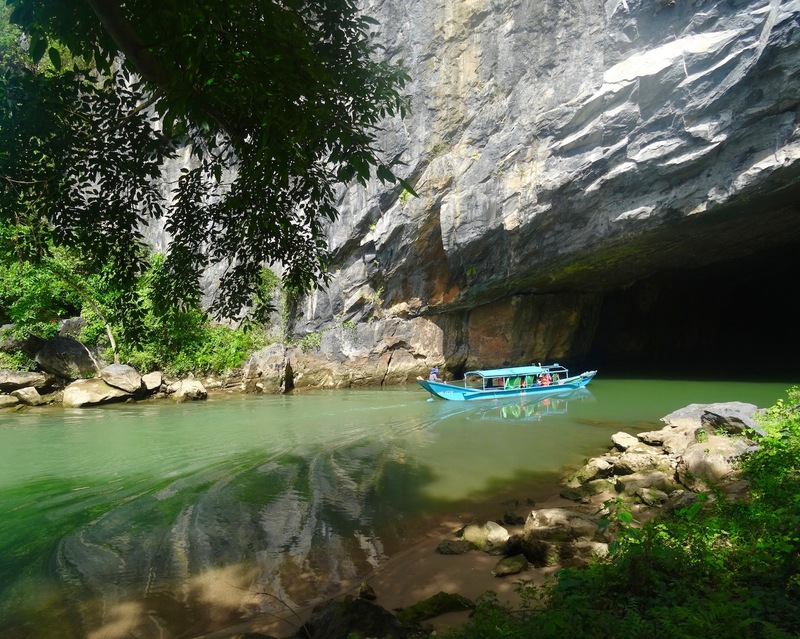 We were rattling through Phong Nha-KẻBàng National Park (try saying that with a mouthful of marshmallows) in the minibus when I found myself speculating on whether Phong Nha Cave might turn out to be something of an anticlimax. Our intimate little tour group had just finished exploring the wondrous Paradise Cave, which had been so damn impressive I couldn’t imagine this next cave coming anywhere close. Pulling up outside a boat station alongside a beautiful deep-green, hill-framed river, we all jumped out and followed our guide Nick to a waiting vessel. 2. Phong Nha Cave, April 2018. It took about fifteen minutes to reach the cave’s spooky entrance. It was pretty cool to find ourselves melting into the gloom as Nick explained that the cave was discovered in 1899 and had been used as a hospital during The Vietnam War. But it wasn’t until the 1990s that its depths were fully uncovered and eventually opened to the public. Today it’s known as the world’s longest river cave! 3. Phong Nha Cave, April 2018. Once again I was left ruing my mediocre photography skills as we drifted through Phong Nha. And here I was being amazed all over again, because this cave was every bit as fascinating as Paradise. About a quarter of the way through the captain unrolled the roof cover and I could stand up, welcoming the cold breeze and listening to the creepy echoes as we made our way. 4. 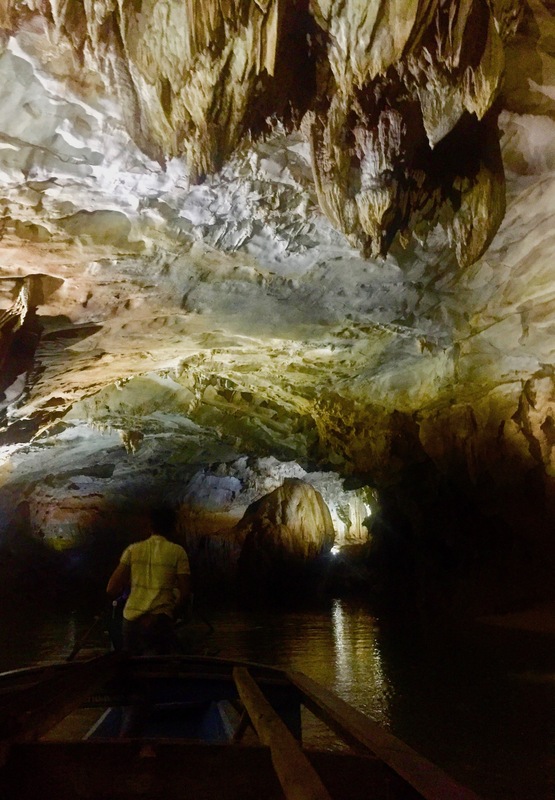 Phong Nha Cave, April 2018. The highlight is definitely getting to jump off at this little beach. The rock formations, with their jagged, unpredictable frequencies and dazzling colors, are just stunning. 5. 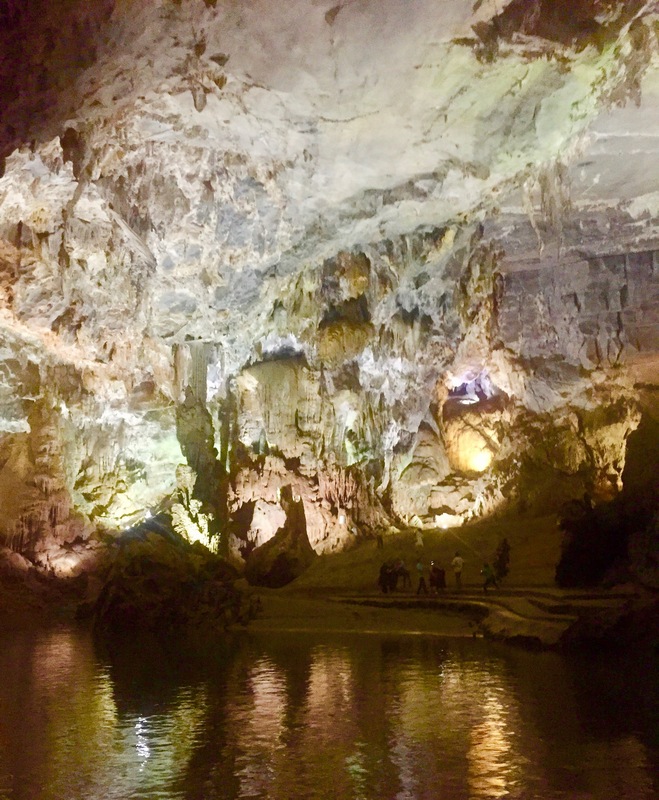 Phong Nha Cave, April 2018. We had about ten to fifteen minutes exploring the beach and following the path back round to our waiting boat. Before you jump back onboard, do stop at one of the riverbank cafes and have a quick glass of sugar cane juice! My daylong tour of both Paradise Cave and Phong Nha Cave was taken with the excellent Nam Long Hotel. I paid 1.5 million VND (£35/€40/$46), which included return minibus travel from the hotel in Dong Hoi City, as well as a generous buffet-style Vietnamese lunch in between the caves. They also handle all ticket purchasing on your behalf to keep everything moving at a brisk pace. Interested in this tour? Have a quick peek at my article on Paradise Cave. For more on the region, why not leaf through My 5s on the nearby city of Dong Hoi. Like these? Then why not check out many more My 5s from all over Vietnam. My 5: Paradise Cave, Vietnam. My 5: The Imperial City – Hue, Vietnam.